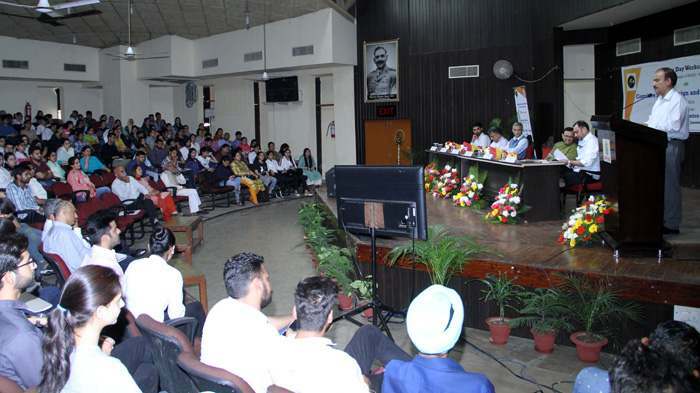 In an effort to create ecosystem of innovations, Institution Innovation Council, University of Jammu, under the aegis of MHRD-RUSA-II organized one day workshop on Cognitive skills, Design and Critical thinking. 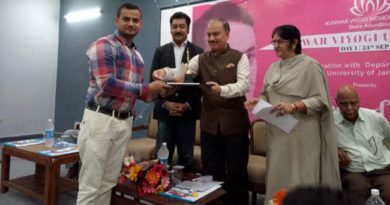 Prof. Manoj Dhar, Vice Chancellor, University of Jammu, who was the Chief Guest on the occasion congratulated the whole team of the IIC and asked the participants to work with zeal and zest and also motivated the participants to be job providers rather than the job seekers. He asked them to work hard and develop the culture where everyone works for oneself and then only they will become true entrepreneurs. Being in the lap of the Himalayas, Prof. Dhar said a lot can be explored at the rural level where tremendous opportunities are available. 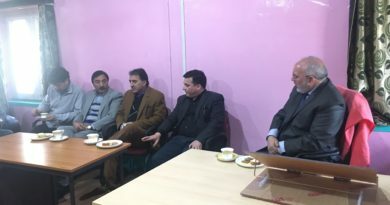 In this direction, Prof. Dhar said that the University of Jammu being part of the RuTAG Chapter besides seven IITs of the country, has already started working on finding technological solutions to the problems being faced by rural masses. Earlier, Dr. Unnat Pandit, Director, AIM Programs and Operations, Atal Innovation Mission, NITI Aayog, Govt of India gave a detailed overview of Atal Innovation Mission. He emphasized on the importance of Innovation, Creativity and new ideas for Enterprenuership. Students should be nurtured towards thinking out of box to serve the society. He informed the audience that AIM has covered more than 93% of the districts all over the India and more than 8000 schools including 35 schools from J&K. Creative Design and thinking can help young curious minds to develop new ideas which might have potential to be realized as full fledged technologies. Dr. Pandit quoted various examples where school students have developed innovative gadgets in the areas of electronics, robotics, internet, Artificial Intelligence which might be very important in various sectors that includes the health sector. Dr. Unnat futher underlined that the state of J&K has got huge potential in areas of floriculture, tourism which need to be tapped. Dr. Anil Wali, Managing Director, Foundation for Innovation and Technology Transfer, IIT, New Delhi in his talk “ The Gamechangers” illustrated that how Innovation & Digitalization has revolutionized the world over the years. He said that innovation must be marketed and must be acceptable to the consumers,else it will be of no use. He said that multiple approaches can be used for Design Driven Innovation for providing solution to the problems. Further he said that each one may not become an entrepreneur but each on must become an innovator. He cited several examples from all over the world including India where people despite their humble backgrounds and average academic qualifications became most celebrated entrepreneurs due to their striking zeal for finding innovative solutions to various problems. Mr. Avinash P Singh, CEO, Waste Warriors, Dehradun spoke on the entrepreneurial journey of Waste Warriors and how they were able to gather large number of people for the social cause. He further emphasized that despite societal hindrances and lack of money, one’s commitment to the social cause can be realized by three things-Will power, adaptation and fun at work. Prof. Naresh Padha, Co-ordinator, RUSA II was the special guest on the occasion underscored the importance of grants which University of Jammu has received under RUSA II and how it is going to benefit the various stakeholders and give impetus to the academics. Earlier in his welcome address, Prof. Parikshat Singh Manhas, President IIC motivated the students for setting their goals and to think out of box and hoped that the IIC which has begun its journey will grow in a big way. He said that University of Jammu being the only State university in J&K awarded with the IIC and its now the responsibility of the University stakeholders who have to take it forward. 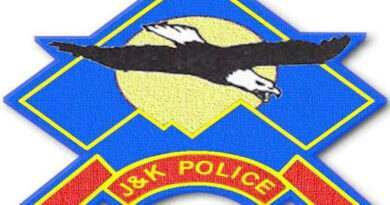 Prof. Parikshat Singh Manhas said that lot of support is pouring in for this initiative. He motivated the students to think out of the box on how the Innovation Culture can be built in a bigger way where we don’t become job seekers but we provide job providers. He further asked the participants to stay curious, stay inspired and asked them to put forth their ideas so that the same can be put to the logical conclusion. Dr Anil Gupta, Member, IIC conducted the proceedings of the function while the function was coordinated by Dr B.K Bajaj, Convener, IIC. More than 500 students and scholars from various Departments participated in the workshop with great zeal and enthusiasm. Among others Deans, Directors, faculty members from various Departments, Officers and Staff were also present on the occasion.